Something I’ve been meaning to do for at least a month now is sell my clothes to some of our local shops that buy/sell gently used clothing (you know, the Plato’s Closet, Buffalo Exchange, Crossroads of the world.) The only problem? I haven’t done it. That’s how this Shop My Closet idea was born. As I was folding and putting away our mountain of clothes in my freshly cleaned out closet this weekend, I thought about how it might be fun to set up a sell/swap group with other bloggers and like-minded fashionable ladies (or men, no discrimination here!) It doesn’t have to be just clothing either – I’m totally down with swapping gently used clothing, shoes, beauty, skin care, books, etc., just so long as it’s not expired, worn out, or otherwise yucky. That brings me to you – would you be interested in participating in something like this? You totally do NOT need to have a blog. We can easily set it up via Pinterest or a private Facebook group, or something else, I’m open to suggestions. Q: Does the items you swap have to be designer? Q: How will I know if you’re actually doing this? If participating in Shop My Closet sounds fun, then please do me a favor and fill out the Google Form below. If there’s enough interest, then you’ll probably see it on the blog again soon! Edit: We’ve launched on Facebook! 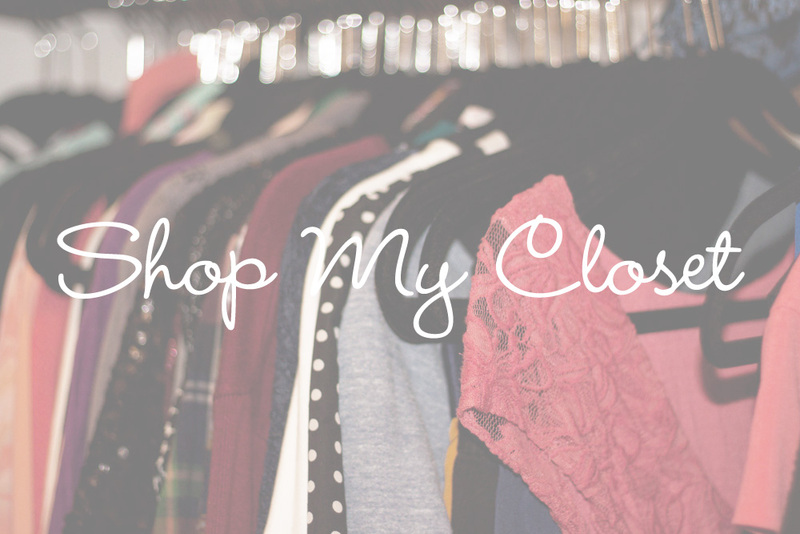 Join the Shop My Closet Facebook Group here, and invite your friends. :) If you have any questions or concerns, email me anytime. What was everyone up to this weekend? Happy Monday!